“What can youth work do to prevent and de-construct violent extremist attitudes?”, – This is the question the participants from more than 8 Euro-Mediterranean countries ask themselves and each other at the training course organized by the AHEAD Association of Human Rights Educators. The training course takes place in Coma-Ruga, the seaside little town, which is not far from Tarragona (Catalonia) on dates 14-21 of October. Among many things, participants share about the experience they have working in their organizations on the Violent Extremism: what is the local situation, what are the Projects they run, and what are the approaches, they use to work with young people and youth workers on this irelevant issue today. Participants explore what do young people get from the involvement in violent extremism and what are the behaviors, that may be alarming or worrisome in order to look for solutions. One of the solutions is non formal learning and human rights education, which provide inclusion of all young people, their critical thinking and democratic participation in the local communities’ life. Diverse contexts of the young people in the World, in Europe and Middle East, make them do choices which can be triggered by diverse events and people. 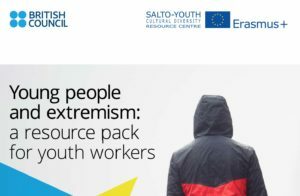 Good quality Youth Work and competent youth workers may affect young people decisions and support them in having a sense of ownership of what they do in their lives.